My first introduction to the famous San Petronio organs, though this is before their restoration. This sonata gives at least some idea of the weight of the older organ which goes down to 24- foot pitch! Scratchy but cute! Recording is pretty fair for 1964, and the organ (a historical instrument apparently) sounds really nice. 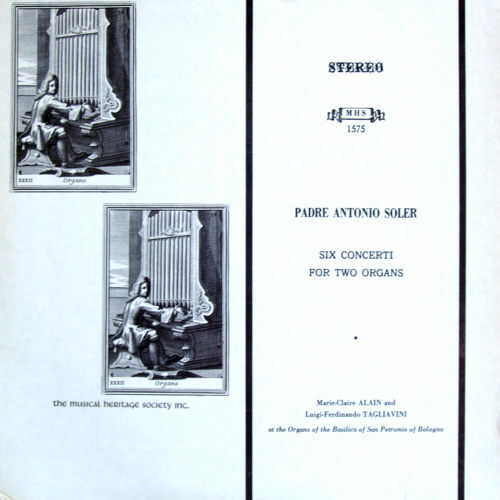 Very fine older recording of the San Petronio organs in their pre restoration (equal temperament) state, though it's too bad the lp transfer is so poor. delightful to my old ears. The pairing works well !